Before winter last year, I had purchased some used OEM dealer rims for my SFS from a local used rim shop. These rims had some minor blemishes that I was fully aware of, which reflected the price that I paid for them. 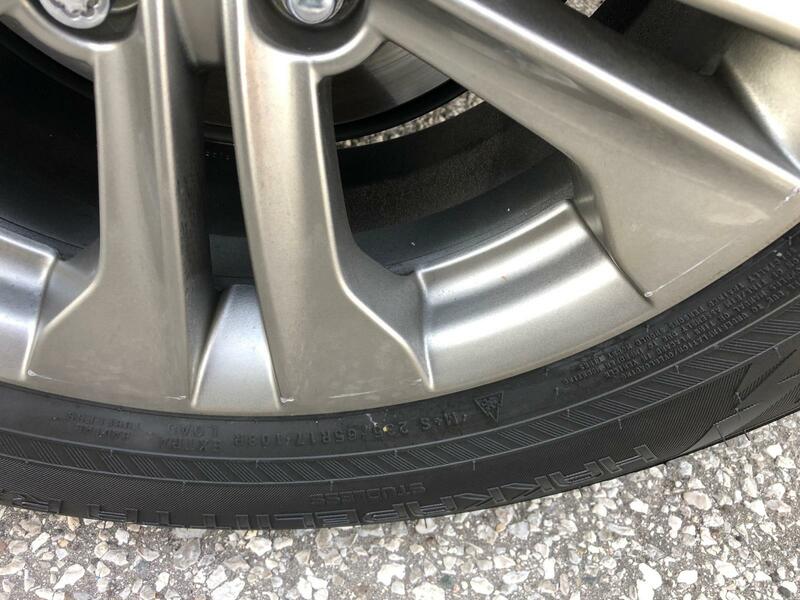 I had then purchased some new winter tires for those winter rims from a well known tire shop chain, who then installed those rims onto the new winter tires. What should have been a simple tire installation, has turned into a nightmare. The shop had begun to install the correct winter rims on the winter tires that I bought. Once the job was completed, it was already late in the day and I headed home with my newly installed winter rims/tires and my summer rims/tires packaged up by the shop in the trunk of my SFS. So far so good. As I pull into my garage, I begin to unload my summer rims/tires into my garage as have done for years. Being the OCD neat freak that I am, I begin to polish my rims/tires when I notice that 3 out of the 4 rims have a significant radial scratch pattern! I immediately take pictures of this (please see attached pics) and email them to the tire shop owner. 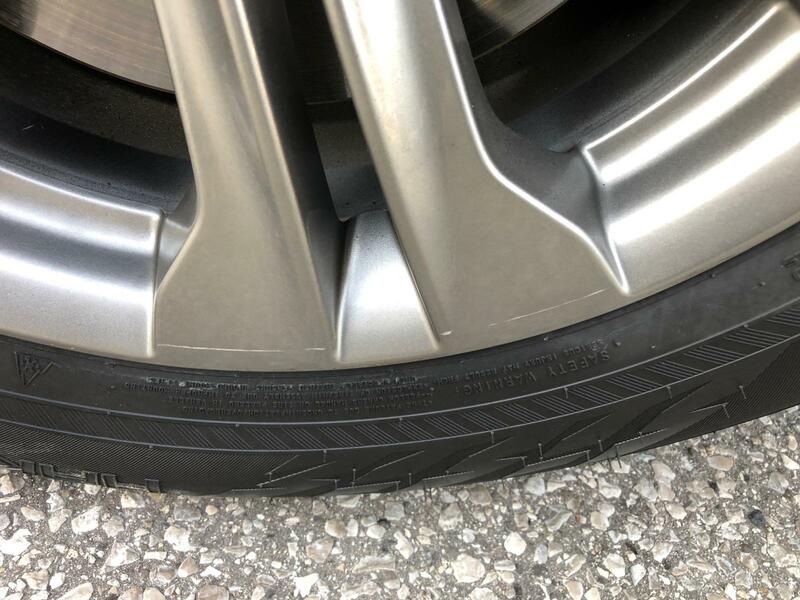 The tire shop manager responds back indicating that he will take care of this issue for me and requests that I wait until spring to have this issue resolved when I bring in my winters to exchange for my summers. Again, this is a well know tire shop and I agree with this proposal. Fast forward to this morning. I load my summer rims/tires into my SFS and head to the shop. The owner was not there but requested that I leave my scratched winter rims/tires there so that he can have a look and resolve. Not a problem. The tire shop begins to uninstall my winters and installs my summers. The person behind the counter confirms that the shop manager will get back to me on the winter rims/tires that I left behind for his review and resolution. Great! I'm handed my keys and head towards my car. 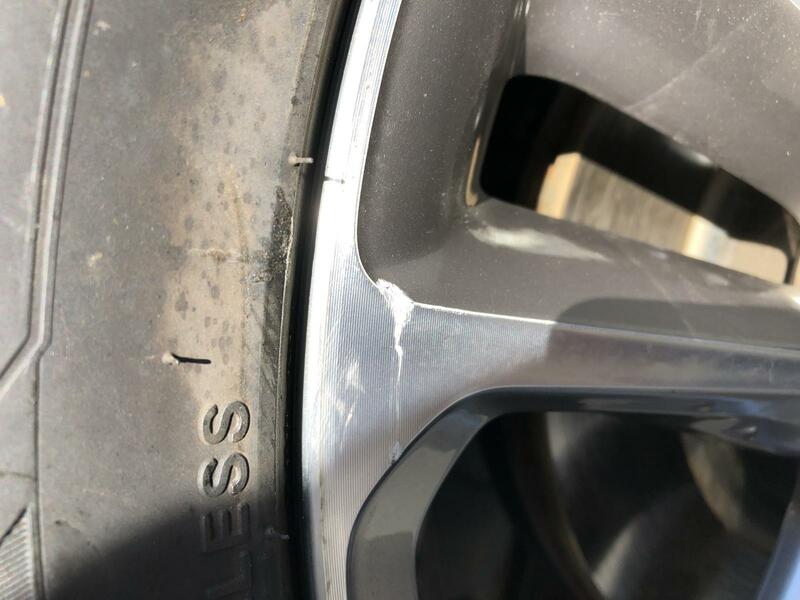 My eyes are quickly locked onto my rim/tire that I had mentioned above...as it was the one where they had uninstalled by accident...it too had the exact same radial scratches as my winter rims did!!! Please see attached pics. I quickly head back into the shop and speak to one of the front reps and bring him outside to show the damage. At this time he starts to ask me a bunch of questions like why I didn't notice this before and if I had scrapped the rim before...then he states that he can't see how any of the radial scrapes could have been caused by their equipment/machines, as they are touch-less. I felt like I was being interrogated and being accused of a cheat/liar. I respond back to his initial questions and mentioned that it was your shop workers who packaged up my summer rims/tires into my car. I never opened any of the packaged bags. How many of your customers do?! ...And as for your touch-less equipment/machines, I guess you may have had an incompetent worker who doesn't know how to work this equipment. He tells me to contact the shop owner and that he will take care of this for me. I drive home and again immediately take pictures (please see attached pics) and send them off to the shop manager. 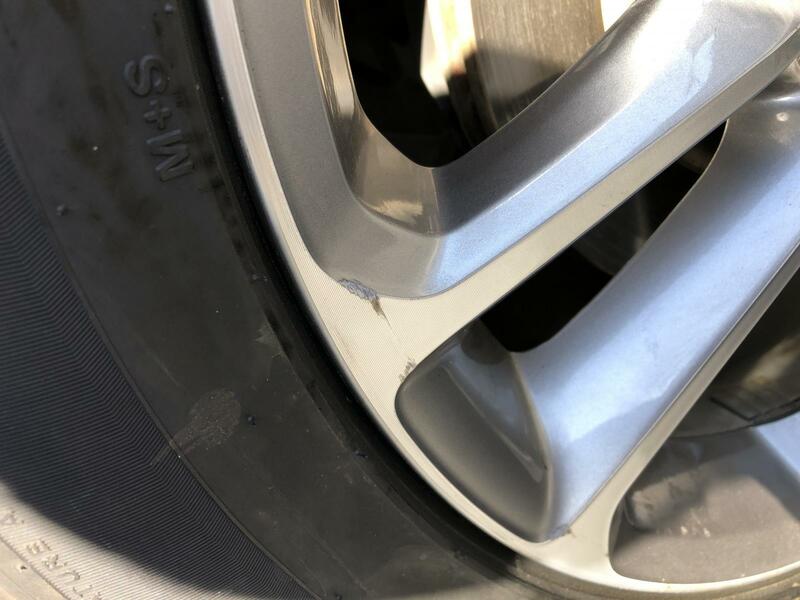 A few hours later I receive a response from the shop manager stating that he is going to get my winter rims repaired and that he will need to review and discuss my current summer rim issue with me this week. He then states that they do all kinds of high-end cars and that their touch-less machines don't cause these issues. I'm a pretty straight arrow guy... I follow laws/rules and most importantly take responsibility when I'm at fault. But in this case, the bottom line is that I brought in these winter rims knowing that there were some minor blemishes... I brought my new summer rims (as I had recently purchased my SFS) that were in pristine condition without any scuff/scratches or dents... I left that shop afterwards with multiple radial scrapes/scratches on both my winter rims/summer rim that I did not cause! Period. Apologies for the long winded venting, but I felt the need to be as descriptive as possible. - Although they had stated that their machines are touch-less, what could have caused this in their tire shop installation bay? - What should I demand as a reasonable remediation of these issue? Working for a tire company, unfortunately this happens. Most of the time the wheel shifts on the machine, and iif the (no touch) head, touches the wheel. This can also happen if the (no touch) head moves. Our shop would send them out to be fixed, if we did cause damage to the wheels. This does not happen often, but it can happen. Are these pictures of 1 wheel or all four??? Because 1 wheel I can see it happen, not on 4. Thanks for your response Smitty15SF. 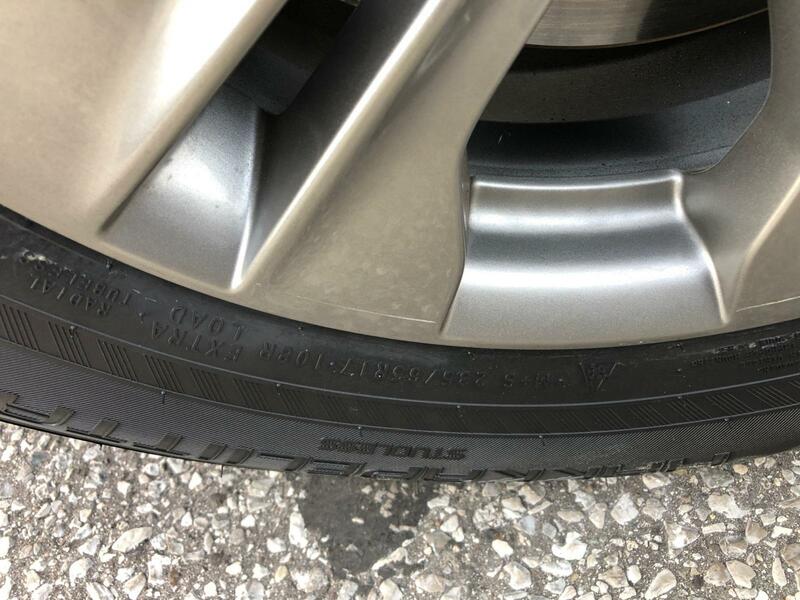 The first 3 pics are of my winter rims (3 out of the 4 have the radial scratch mark on them. The next 3 pics are just one of my summer rim...I took 3 pics of each of the radial scuff marks around the rim). Touchless, it depends on who is using that machine. We had plastic pieces break all the time on the Hunter machines we used. They should be able to repair them with outside source or otherwise. I told the shop manager that I can live with the scratches on the winter rims, but not the scratches on the one summer rim. He said for me to bring the car to his shop as he will have a repair person that they use to fix the rim properly. I'm a little skeptical on the repair that will be performed...and wonder how good of a job will be performed. If it's just painting the areas where the scuffs appear, then I'm certain it will be noticeable and won't match the other mint rims. Any idea how much these types of repair services goes for? I'm curious as to how much this is going to cost the shop owner. Here In Florida, the guy we use, charges about $150, what ever he does, you cant tell its been fixed. Also it takes him about a day to repair it..
+1 usually they are pretty good. Ive seen this guy do dealership work all the time.